Double Chin, Meso, Vit C, IPL & Acne treatments all going at a special rate. you get to enjoy additional 10% off! 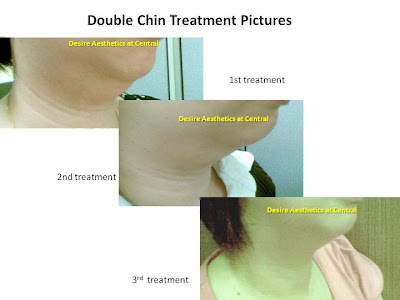 Do you have double chin problem no matter how slim or small your face is? With our 3G-RF double chin treatment, you can see visible results in a few sessions (results vary with individuals). This is another of our Signature Facial Theraphy that Desire @ Central is proud to brag about. It helps to simulate new skin growth, improves the skin radiance and your skin will feel supple. This treatment starts with cleansing of the face and follow by microdermabrasion. It helps to remove black & white heads and outer layer of the skin. It helps to stimulate new skin growth and improve blood circulations. Meso Glow Serum is then applied onto the face with the help of Meso hand piece. You will feel the warm while the Meso hand piece is moving round your face, this motion is to better penetrated deep into the skin. Too good to stop here..it is follow by a face maaage that let you relax with our soothing music playing in the background. We put on hydrating mask your skin further. Desire @ Central is having a 20% off A-la-carte price in September. This is our one of our Signature Facial Theraphy that Desire @ Central is proud to gossip about. It helps to fight harmful radicals, improves the skin radiance and overall flow. Diminishing the Effects of Photo Aging. Lightens Pigmentation, Acne Scars and Discolorations. Deeply repairs damage from Ultra Violet rays. Too good to stop here..it is follow by a face massge that let you relax with our soothing music playing in the background. We put on whitening cold mask to rehydrate and whiten your skin further. Don't be embarrassed of your unsightly hair and/or dark pigmentation around it. IPL can safely remove those unwanted hairs, lighten the dark pigmentation around the areas. Desire @ Central is having a 20% off A-la-carte price in September. How many sessions do I need? It all depends on your hormones in your body, some can see results in 6 to 7 sessions, others may take more than 10 sessions. It is rather common that not only teenagers suffer from acne problem, many adults do. Many adults are caught by surprise.."Hey what is wrong with me? I never have pimples or acne when young". Work stress, changing environment, hormones, not enough sleep, smoking are some of the conditions that can lead to acne development. Desire @ Central is now offering Acne Treatment Facial at $120/session with our formulated acne solution. Please quote "CENTRAL" to enjoy 30% off in the month of September PLUS a free Microdermabrasion session which cost $100/session. What a saving !! Firstly, we cleanse the skin toughly and understand your skin type and problem area. The next procedure is the microdermabrasion. Micodermabrasion is like a magic wand which help to remove black and white heads and top layer of the outer skin...giving you a instant clear and smooth, even tone, fairness result. See it to believe it. The next step is to apply our formulated Acne Solution and using machine that stimulating waves to help your skin to fully abosrb the solution quickly. Your face is later calm down with cold treatment gel and is spread with our Meso Cold Handle. We then put on the Acne cold mask and you can relax with the background music. Aesthetic treatment is also available : IPL or Chemical Peel Acne Treatment program . 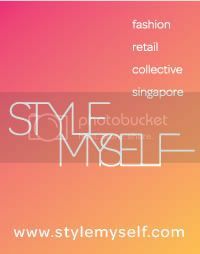 Call 6225-8180 now for your consultation or enquiry. Hi, I am a guy and i have oily and acne prone skin. I have not tried any facials or acne treatment before. so I'm a lil worried about it. Have your tried the treatments at Desire before? is it credible? As i am interested in trying out the acne treatment. I bought a nuskin clear action package a month ago, which is supposed to target blemishes. it worked for me for the first few weeks but from den on i keep getting outbreaks. Is it possible for me to change products? like bio therm? cos i heard from my frens who used nu skin product range, dey tend to get outbreaks if dey change the products you're using. help is very much appreciated. Thank you! Hi, will reply to you via your email.